ONCE upon a time, countries jealously guarded their credit ratings. Before the 2010 British election, George Osborne, soon to be the chancellor of the exchequer, emphasised the importance of cutting the budget deficit in order to maintain the country’s top AAA rating. But despite the spending cuts and the tax increases he imposed, Britain was downgraded in 2013. There are only 11 countries with AAA status, according to Fitch, a rating agency, down from 16 in 2009. By value, only 40% of global sovereign debt has the highest rating, down from 48% a decade ago. 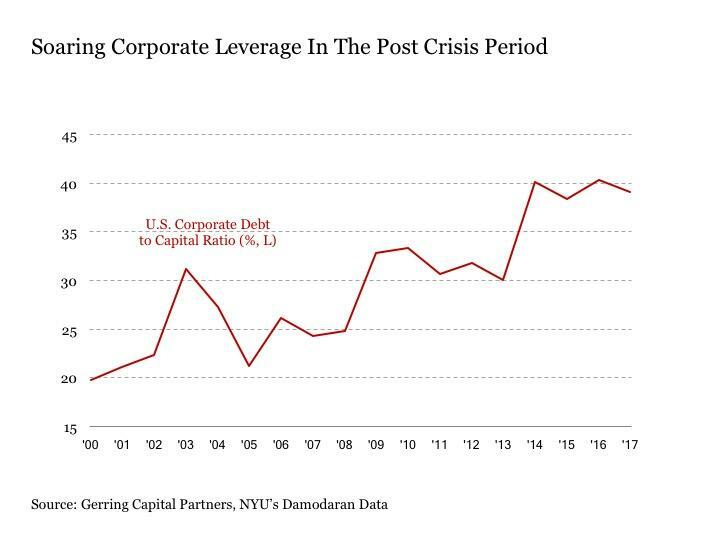 There has been an even more dramatic downward trend in corporate debt ratings. There were 99 AAA-rated American corporations in 1992, according to S&P Global, another ratings group; now there are just two. That trend is linked to the tax deductibility of interest: in terms of tax efficiency, it has made sense to increase the amount of debt, and reduce the equity, on the balance-sheet. Clearly, at the sovereign level, the deterioration has been driven by the global financial crisis, which dented both economic growth and tax revenue. But with bond yields very low, and with central banks willing buyers of government bonds, countries have not paid a penalty for their bigger debt burdens. Japan first lost its AAA rating in 2001, as its debt-to-GDP ratio soared. But that didn’t stop investors from buying its bonds, especially when the country succumbed to bouts of deflation. A very low nominal yield is still positive in real terms when prices are falling. Even if investors did lose their appetite, the Bank of Japan is a willing buyer; it has a target for the country’s ten-year bond yield of zero and, at 0.08%, the current level is not far off. It is a similar story in America, which lost its AAA ranking from S&P in 2011. Five years later, the ten-year yield was at a record low of 1.36%. Clearly the bond vigilantes that spooked politicians in the 1990s have lost their menace. Dealing with the deficit is no longer the most important issue. It is not just central banks. Commercial banks, pension funds and insurance companies all also need to own government bonds for liquidity or regulatory reasons; they are relatively indifferent to the actual level of yield involved. In fact, in terms of default probability, the difference between the highest credit ratings is pretty trivial. 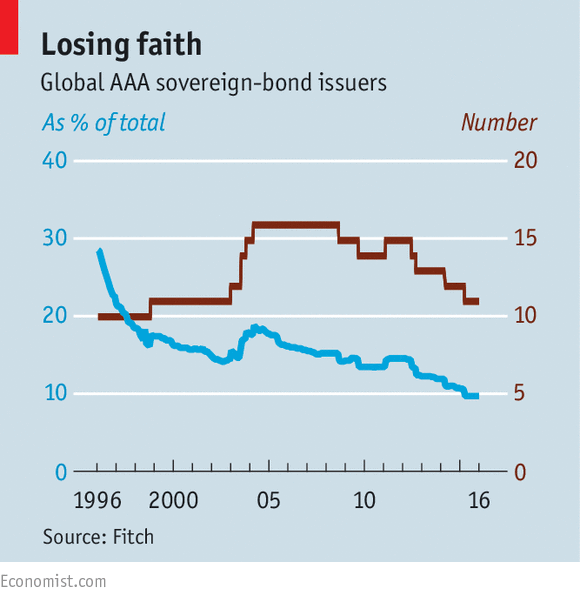 A 2014 study of rankings since 1975 by S&P found that 97% of AAA sovereign bonds and 86% of AA bonds were still ranked in the top two bands ten years later. When markets don’t penalise them for running deficits, it seems rational for governments not to risk the wrath of voters by curbing borrowing and imposing austerity. There are exceptions to this rule—those countries that do not have the luxury of borrowing in their own currency. In the euro zone the most prominent example is Greece, which is still struggling to deal with its debts. But even the euro zone has got away with less punishment than might have been expected when the Maastricht criteria for single-currency membership were established 25 years ago. Germany has a debt-to-GDP ratio over 70%, more than ten percentage points above the target level. Its ten-year bonds yield just 0.37%. The rise of populism means that governments are even less likely to worry about an adverse reaction in the bond markets. Donald Trump has promised a combination of tax cuts, infrastructure spending and the safeguarding of entitlements such as Social Security and Medicare. These plans have to pass Congress, but the Committee for a Responsible Federal Budget, a lobby group, estimated that they would push American debt to 105% of GDP (from 77%) in a decade. Britain has abandoned its target of eliminating its deficit by 2020 (Mr Osborne’s original target was 2015). Facing an insurgent threat from the likes of Marine Le Pen and Geert Wilders, European governments will be wary of raising taxes or cutting benefits. In macroeconomic terms this is sensible. The main priority for rich countries should be developing a decent rate of growth rather than austerity. But if growth does not pick up significantly, the outline of a future crisis looks clear. Current debt levels are perfectly serviceable at current yields. But if yields rise another two to three percentage points that might no longer be the case, especially as government budgets will be strained by rising pensions and health-care costs from their ageing populations. At that point, bond investors might wake from their slumber and take their revenge. SHANGHAI – Will China’s sociopolitical stability and economic dynamism continue to hold? It’s a question China-watchers are asking more frequently now than at any time in the past three decades. This fall, the 19th Congress of the Communist Party of China will decide (or not) President Xi Jinping’s successor in 2022, while also replacing (maybe) five members of the seven-member Politburo Standing Committee. The result, one hopes, will not be a new period of turbulence like that which the election of Donald Trump has unleashed on the United States. The potential for political uncertainty in China comes at a time when its economy’s health seems to be waning, and when Trump’s presidency could pose a direct challenge to its growth model. From 1979 to 2010, China’s GDP increased at an average annual rate of 10%, generally exceeding the government’s target (the exception being the 1989-1990 period, following the mass incident at Tiananmen Square). But then growth slowed to 7.9% in 2012 and 7.8% in 2013, leading the government to declare a “new normal.” When growth slowed further, to 7.3%, in 2014, and remained sluggish the following year, the government announced that the target growth rate for the next Five-Year Plan (2016-2020) would be 6.5-7%. Sure enough, the growth rate has continued to slide, to 6.9% in 2015 and 6.7% last year. The steady deceleration of economic growth since 2010 has become an albatross around Chinese policymakers’ necks. Properly diagnosing the cause, and formulating the right policy response, will not be easy. But whether China succeeds will have far-reaching implications for the world economy, especially now that Trump is confirming worst-case scenarios regarding his administration’s impact on global stability and prosperity. Perspectives on China’s economic trajectory run the gamut, from deep pessimism to buoyant optimism. Project Syndicate commentators reflect this range of views as well. Nonetheless, having taken a hard look at China’s politics, policies, and economic trends, all furnish valuable insights into what might – and what should – come next. Former World Bank Chief Economist Justin Yifu Lin is sanguine about the Chinese economy’s capacity to deliver sustained growth. “China has been suffering from the aftereffects of the 2008 financial crisis and plummeting export demand,” he writes. Consequently, the recent slowdown owes more to “external and cyclical factors, not some natural limit.” Lin is confident that policies to boost domestic demand – including “improvements in infrastructure, urbanization efforts, environmental management, and high-tech industries” – will prove sufficient to meet the government’s official growth targets. As Lin argued in an earlier commentary, China still has significant room to grow, because its per capita income in 2008 was still “just over one-fifth that of the United States.” When Japan’s per capita income was that far behind the US, in 1951, it then “grew at an average annual rate of 9.2% for the next 20 years.” Lin attributes this growth to developing countries’ “latecomer advantage,” whereby they can improve productivity simply by adopting developed countries’ technologies and best practices, at little cost and with few risks. With Trump now in the White House, however, China must account for changes in its economic environment that it cannot fully control. As Claremont McKenna College’s Minxin Pei bluntly puts it, “De-globalization now seems to be a given.” And this is “profoundly worrying for China, the world’s largest exporter by volume and arguably globalization’s greatest beneficiary.” Cornell University’s Kaushik Basu makes a similar point, and predicts that “Trump is about to make a policy mistake.” His “neo-protectionist” brand of tariffs, combined with financial deregulation, will not hurt only the US, Basu argues, but also any country that runs “large trade surpluses vis-à-vis the United States” – namely, China. But China must confront serious domestic challenges as well. Keyu Jin, a professor at the London School of Economics, disputes the notion that China’s growth slowdown is a temporary symptom of its changing economic model. “China’s problem is not that it is ‘in transition,’” Jin says. “It is that the state sector is choking the private sector.” China’s state-owned enterprises (SOEs), she points out, receive preferential treatment in the form of implicit government guarantees and cheap land and credit, which creates unfair competition for the private sector. Taken together, Xi’s re-centralization of power, prosecution of potential rivals, crackdown on the domestic media, and efforts to reinforce the “Great Firewall” to block foreign websites amount to a major setback for China’s sociopolitical progress – and possibly for its economic progress, too. These differing outlooks reveal the difficulty of diagnosing China’s post-2010 economic slowdown. Yu’s analysis suggests that Chinese policymakers are focusing too narrowly on long-term variables, and not enough on more immediate growth hurdles. Since November 2015, the official narrative has overwhelmingly emphasized “supply-side structural reform,” implying that Xi views the recent slowdown as being the result primarily of a decline in the potential growth rate. By contrast, Yu calls for “another stimulus package that increases aggregate demand through infrastructure investment” in the near term. This should be financed “mainly with government bonds, instead of bank credit,” so as to “avoid the kinds of asset bubbles that swelled in the last several years.” Of course, while Yu’s proposed stimulus may prevent a financial crisis, the additional debt could contribute to a fiscal crisis instead. But the point of infrastructure investment, Yu maintains, is “not just to prevent the economy from sliding further, but also to enable China to generate the sustained long-term growth that it requires to achieve developed-country status.” To be sure, with per capita GDP at only 30% of the US level, China still seems to have plenty of room to grow. So why should anyone be pessimistic about the sustainability of high growth? For starters, the benefits of the “latecomer advantage” that Lin emphasizes cannot be taken for granted. For example, taken together, the five largest Latin American economies’ per capita GDP, adjusted for purchasing power parity, was around 30% of the US level in 1955, and that ratio remains the same today. While these countries’ absolute standard of living has improved, the size of their development gap vis-à-vis the US has not changed in more than 60 years. This failure to catch up is generally known as the “middle-income trap.” And, as Ernesto Talvi of the Brookings Institution points out, it is no coincidence that the past 40 years of Latin American history has been marked by cycles of political disruption. Similarly, growth slowdowns in Malaysia and Thailand over the past two decades have led to large-scale protests and episodes of political violence. Moreover, the middle-income trap is the norm. The only large Asian economies that have managed to narrow their development gaps relative to the US are Japan, Taiwan, and South Korea, and China’s problems are too large and complex simply to assume that it shares its neighbors’ economic exceptionalism. One fundamental reason for doubt consists in China’s demographic headwinds, which will make it difficult to restore past growth rates. Back in October of 2011, Cai Fang, the Director of the Institute of Population Economics at the Chinese Academy of Social Sciences, pointed out that China, unlike Japan and South Korea, became an aging country well before it became affluent. He worries that this factor alone could cause China to fall into a middle-income trap. A rapidly aging society will increasingly have lower savings (and thus less investment), and will accumulate human capital at a slower rate. Meanwhile, the country’s population will also decline, which will lead to decreased production, and fewer opportunities to reap benefits from economies of scale. The experience of other aging countries does not bode well for China. In the second half of the 1990s, when Japan’s dependency ratio – the proportion of the population that is younger than 15 and older than 60 –accelerated its upward rise, the GDP growth rate abruptly declined. And South Korea’s rate of growth slowed significantly after 2010, when its dependency ratio began to increase rapidly. China’s dependency ratio has been rising quite rapidly since 2010, though not as quickly as that of Japan after 1995 or South Korea in recent years. In 2013, Cai used demographically-adjusted growth accounting to forecast an annual growth rate of 6.2% between 2016 and 2020. This prediction might have come true in 2016 had the government not propped up growth with monetary and fiscal-stimulus policies to keep zombie SOEs alive, enlarge the inventory of unoccupied housing in some regions, and boost demand for goods made by firms with excess capacity. Cai’s work thus raises an important question about how best to calculate future economic growth. Whereas Lin relies on a comparative analysis of US-Japan and US-Korea per capita GDP ratios to predict that China will maintain an annual growth rate of “roughly 8%” for the 2008-2028 period, Cai, focusing on the dependency ratio in Japan and South Korea, expects China’s annual growth rate to decline. So, which variable is the best predictor of future growth? Sound cross-country comparison cannot be based on textbook economic theory alone. It also requires deep knowledge of specific institutional conditions in each country that is being compared, because the extent to which a given variable affects future economic outcomes differs among countries. Without a holistic approach that accounts for such discrepancies, we cannot know if the same observed outcome in different countries was produced by the same factors. Malaysia, for example, is ensnared in a middle-income trap because of its comprehensive system of ethnic preference – which has spawned rampant rent-seeking, capital flight, a large brain drain, and a low-quality education system – and its overly centralized administrative structure that suppresses local development initiatives. Thailand, meanwhile, has been forced into a middle-income trap because of political conflicts stemming from traditional elites’ refusal to accommodate new social forces. Sheng and Xiao trace China’s economic problems to the “rapid expansion of imperfect markets managed by an imperfect bureaucracy.” And while they do not specify which bears more blame – markets or the bureaucracy – they believe that the only way to fix such imperfections is to go beyond structural reform and pursue “institutional reform.” Specifically, they call on central and local authorities to “delineate property rights with regard to land, capital, and natural resources, and establish industrial standards and best practices.” They don’t explain how this institutional reform should be carried out, but delineating property rights generally means privatizing state-controlled assets. Likewise, establishing industrial standards and best practices generally means adopting them from abroad, and carefully adapting them to local conditions. Clearly, taming China’s SOEs is necessary for restoring strong growth, as Project Syndicate commentators agree. This does not reflect a shared ideological bias, but rather the reality that SOEs constitute a growing burden on the economy. The largest SOEs should not necessarily be privatized, but private firms must be allowed to compete freely with them (with exceptions for certain sectors such as armaments), and hard-budget constraints and open trade must be maintained. China should also explore policies to expand domestic innovation. As Erik Berglöf of the London School of Economics and Political Science notes, studies show “a positive link between innovation and social mobility, and even between innovation and income inequality.” Berglöf offers Chinese policymakers a ray of hope, pointing out that, “there is no historical necessity that dictates that countries get stuck at particular levels of income.” But for China to avoid this fate, he warns, it cannot rely wholly on technologies adopted from developed countries. Finally, as Cai recommends, China will need to cultivate its human capital. Like Zhang, he sees an urgent need to improve the process of rural-to-urban migration, not least by relaxing the “household registration system (hukou), which bars access to public benefits for migrants without urban residence permits,” as well as restrictions on the expansion of the largest cities. Such labor-market reforms will significantly improve rural children’s health and education, reduce income equality, and promote social mobility. With a balanced approach to political change, and with economic reforms that take into account short-term cyclical and long-term structural challenges (with much more emphasis on the latter), China can still achieve sociopolitical harmony and position itself to become a developed, high-income country. In an age of mounting global uncertainty, owing in no small part to the US, China stands to benefit enormously – particularly in geopolitical terms – if it can emerge as a source of sustained economic dynamism. 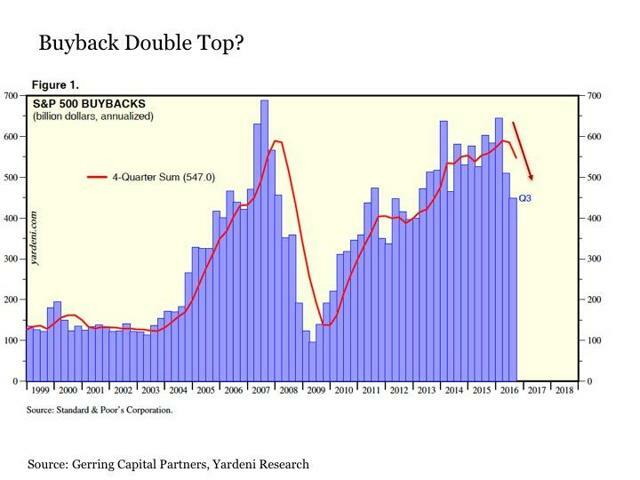 - Share buybacks have been helping to drive stocks higher throughout the post-crisis period. - Rampant buyback activity may now be on the wane. - This has important implications for the sustainability of the bull market in stocks. - A key driver of stock market gains throughout the post-crisis period is slowly fading away. Who, if anyone, will be the marginal buyer of stocks if this important source of demand continues to fade away? It has not been individual or institutional investors that have been driving stock market gains during the post-crisis period. In fact, we have seen more than $1 trillion in net outflows from domestic equity mutual funds since the calming of the financial crisis in early 2009 according to data from the Investment Company Institute (ICI). And since last June, when the S&P 500 Index (NYSEARCA:SPY) has increased in value by +17%, we saw another $10 billion in net outflows from domestic equity mutual funds and ETFs. This activity occurred despite all of the talk about the rotation out of stocks and into bonds (NYSEARCA:BND), which notably have received +$145 billion in mutual fund and ETF net inflows over the same time period yet are lower by -3%. So it has been neither individuals nor institutional investors that are not only the primary sources of demand but instead have been steady sellers on net throughout the post-crisis period. Who exactly is the marginal buyer of stocks in today's market? A primary source has been corporations, which have been buying back their stock at an increasingly furious pace over the past several years. What exactly is the appeal of share buybacks for corporations, anyway? To begin with, it provides a way for companies to reward their shareholders with the return of cash. By buying back their own stock, the company is providing an added source of demand for shares that will presumably help push the stock price higher, all else held equal. Perhaps more importantly, it also has the effect of lowering the number of shares outstanding, which has the effect of increasing earnings per share and helping to improve the appearance of a company's operating performance. So what has been taking place on the corporate share buyback front in recent years? Since 2011, corporations in the S&P 500 Index have repurchased more than $2.7 trillion of their own stock, comfortably more than offsetting the steady sale of more than stock by individuals and institutions over this same time period. Put more simply, without the massive tailwind of corporate buybacks during the post-crisis period, we may very well have been looking at a stock market that is nowhere close to the all-time highs it is trading at today. At the same time, it has also created the illusion that corporations are performing better than they actually are, and subsequently that stocks are more reasonably valued than they would be otherwise. Consider the following. Back on September 30, 2011, the stock market, as measured by the S&P 500 Index, was trading at just over 1,100 and had just generated as reported earnings of $792 billion. This represented an as-reported earnings per share of $86.98 on the index at the time and was providing investors with a generally reasonable valuation of just over 13 times trailing earnings on the broader market. Now for the most recently completed quarter in 2016 Q3, the S&P 500 Index was trading at 2,168 and had just generated as reported annual earnings of $774 billion for an earnings per share of $89.09. This had stocks trading at a historically extreme premium of 24.3 times trailing earnings. Here, we have the passage of five years' worth of time. And even with the massive volume of share buybacks that occurred over this time period, corporations were doing effectively no better in late 2016 than they were in 2011. Yet stock prices have now more than doubled since that time. But let's take a closer look. In 2011 Q3, S&P 500 Index corporations generated annual earnings of $792 billion, which is more than the $774 billion they generated in 2016 Q3. Yet S&P 500 Index EPS in 2011 Q3 was less at $86.98 versus $89.09 in 2016 Q3. Such is the added juice from share buybacks. It is worth noting that today's earnings look even worse on an inflation-adjusted basis, as the S&P 500 Index would need to generate earnings of $855 billion just to match 2011 earnings on a real basis. And for those that may think that operating earnings would paint a better picture then as reported earnings in this regard, it is worth noting that all of these readings actually look worse on an as reported basis. It is worthwhile to take all of this one step further. What if we backed out the positive impact on earnings per share resulting from corporate buybacks that have taken place over the past five years? After all, companies are still earning less today even on a nominal basis versus what they were earning five years ago. Without share buybacks, the S&P 500 Index would instead have earnings per share as of 2016 Q3 at just $85.07, which is more than -4.5% lower than the official reading of $89.09 thanks to share buybacks. Of course, the U.S. stock market has spent the past six months since the end 2016 Q3 storming to new all-time highs. What has this meant for current valuations? With the tailwind of share buybacks, the S&P 500 Index is now trading at an extraordinary 26.3 times trailing earnings. And when backing out the added boost provided by share buybacks, stocks would be trading at an even more astronomical 27.6 times trailing earnings. As I pause to wipe the blood from my nose, it is worth noting that the S&P 500 Index was trading at 19.4 times earnings when it peaked in late 2007 and 29.4 times earnings when the tech bubble burst in early 2000. Put simply, we are well beyond 2007 premiums and quickly closing in on what is remembered as ridiculous valuations from the peak of the tech bubble. Making matters worse for today's market, premium valuations from the tech bubble were largely concentrated in the three segments of technology, media and telecom. Today, it is the entire market. Of course, corporate earnings are currently on a rapidly improving trajectory that includes S&P 500 earnings that are coming in at $97.68 per share as of its latest reading with more than 80% of companies reporting, which on a buyback adjusted basis looks more like $92.93 per share versus 2011 levels with estimated annual earnings of $845 billion that is still clawing its way back to breakeven versus 2011 Q3 levels on an inflation-adjusted basis. While this earnings improvement will provide some much needed relief on the valuation front, it still has stocks trading at 24.1 times trailing earnings and 25.3 times earnings in a world without buybacks over the past five years. Thus, while the recent earnings improvement is certainly welcome, companies still have a lot more improving to do on the earnings front before stocks can be considered anything close to reasonably valued. Stock buybacks have been a critical driver of stock market returns over the past five years. This raises a critically important question - how likely are they to continue going forward? To answer this question it is important to note the following. There is no free lunch. Just like artificially inflating asset prices through relentlessly easy monetary policy is not without costs, so too is engaging in aggressive share buyback activity in order to return cash to shareholders and boost earnings per share. This is particularly true when a primary source for the funds to support this rampant buyback activity has been tapping low-cost debt markets in recent years for the purpose of buying back stock and paying dividends to shareholders. At some point, the amount of debt and financial leverage that a company can take on reaches an upper bound, and it appears that we may be approaching this limit in 2017, if we have not already surpassed it. For example, the U.S. corporate debt to total capital ratio, which was at 20% at the turn of the millennium and 25% in 2007 heading into the financial crisis has skyrocketed in recent years to over 40%. This is having a steadily eroding effect on corporate credit quality, with rating agency Fitch recently stating that some corporate credit issuers may be facing downgrades if current buyback programs continue into 2017. Thus, from a corporate finance perspective, the cost of capital benefits that might once have been derived from such buyback activities are now becoming drawbacks. Adding to the mounting headwinds on the buyback front is the fact that borrowing costs may be on the rise. Many have been quick to proclaim the death of the bond market in recent months. And while rumors of its passing may ultimately prove greatly exaggerated, borrowing costs are still higher today than they were last summer and may potentially rise further in the months ahead with the U.S. Federal Reserve pounding the table as of late about potentially raising interest rates sooner rather than later and more rather than less in 2017. Of course, the much ballyhooed corporate tax reform and profit repatriation are supposed to provide a welcome offset to these negative forces and encourage further buyback activity in 2017. That is, of course, if it actually happens in 2017. Proving once again that the laws of unforeseen consequences have not been repealed, markets are slowly waking up to the fact that the pro-growth hopes and dreams from the day after Election Day in November 2016 where everything would be magically implemented on January 20 are giving way to the reality that it is far more complicated than that to first legislate, then implement, then realize the positive pass-through effects from whatever sausage riddled final rules are finally put into place. Put more simply, it's going to take a whole lot longer for corporate tax reform to play out and may end up looking a lot different than expected at the end of the day. And even if it happens in 2017, it may not be until 2018 at the earliest until we start to see the effects of it. Stocks need continued corporate buybacks to keep the current rally afloat. But headwinds are mounting that may increasingly curb this activity going forward. And it may already be too late for any future legislative changes to fill the gap that is now forming on the corporate buyback front. After peaking at the start of 2016 at levels seen during the summer of 2007 at the onset of the financial crisis, corporate buybacks have been sharply declining on an annualized basis over the past two quarters. And in 2016 Q3, the annual rate of buybacks fell to their lowest level since early 2012. While still early, this is an ominous new development that warrants close attention in the months ahead. For if corporate buyback activity continues to decline at its recent pace, particularly with individual and institutional investors remaining largely on the sidelines with domestic equity inflows totaling a negligible $1.5 billion in 2017 despite stocks surging to new all-time highs, it may eventually start to take the broader stock market down with it. The already historically expensive stock market is increasingly losing a critically important tailwind in the form of corporate buybacks. While it is too soon to declare the bull market in jeopardy, particularly given the fact that stocks cannot seem to be kept lower for hours much less for a trading day or more in recent weeks, this is an important indicator that warrants close attention in the months ahead. For if corporate buyback activity goes the way of the individual and institutional investor circa 2008, stocks may struggle to hold on to their increasingly lofty valuation perch. Trump’s defense chief offers tough love on military spending. 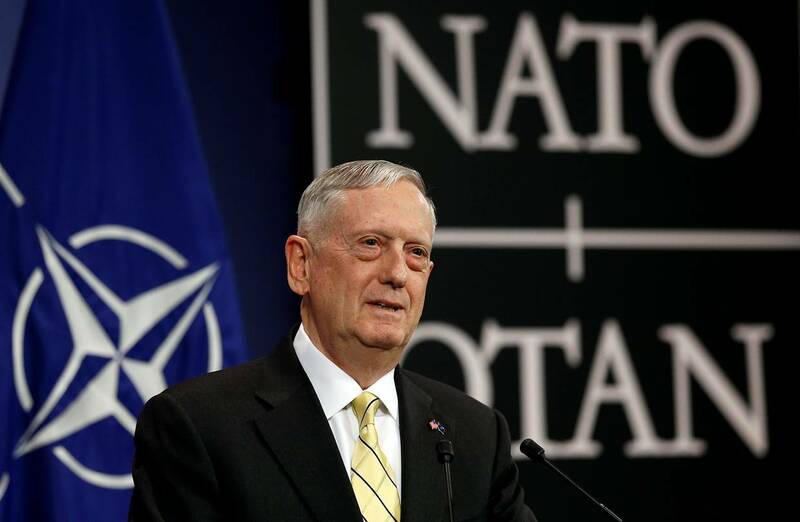 U.S. Defense Secretary Jim Mattis had tough words about burden-sharing for his NATO counterparts in Brussels on Wednesday. The message was salutary, and the retired general was the right person to deliver it. But prepare for a tsunami of claims from Washington’s newly minted Russia hawks that the warning was another sign that President Trump is seeking to undermine the Western Alliance. “I owe it to you all to give you clarity on the political reality in the United States and to state the fair demand from my country’s people in concrete terms,” Mr. Mattis said. “America will meet its responsibilities, but if your nations do not want to see America moderate its commitment to the alliance, each of your capitals needs to show its support for our common defense.” All NATO allies, he went on, must fulfill the pledge to spend at least 2% of gross domestic product on defense. Mr. Mattis was right on the policy merits. Currently, only five of 28 NATO states—Britain, Estonia, Greece, Poland and the U.S.—meet the commitment. American spending, at 3.6% of GDP, amounts to about two-thirds of all defense expenditures in the alliance. Top spending hall of shamers include Germany (1.2%), Denmark (1.2%), Italy (1.1%) and Spain (0.9%). Neglect has eroded many of these countries’ capabilities, “in some cases to the point of irrelevance,” as one NATO insider recently told us. Aggregate alliance spending went down by 1% in 2014 and barely ticked up in 2015—even as Vladimir Putin carved up Ukraine and the crises in Syria and Libya flooded Europe with more than a million migrants and refugees. The warning is no surprise to Berlin, Paris and other major allied capitals. As the retired general noted in his speech, Democratic and Republican administrations have been saying the same thing for at least a decade. The Trump Administration is different mainly in putting the point more forthrightly. That reflects the growing frustration of American voters with NATO’s lopsided burdens and the sense that they are called to care about European security more than many Europeans do. No one can accuse Mr. Mattis of harboring crypto-Putinist views or illusions about the nature of the threats facing the West from Islamist terrorism or authoritarian states like Russia, China and Iran. The U.S. defense chief steered clear of his boss’s more bombastic rhetoric about NATO being “obsolete” and underscored the alliance’s centrality to American strategy. Here’s hoping the general’s tough love will spur action in NATO capitals.